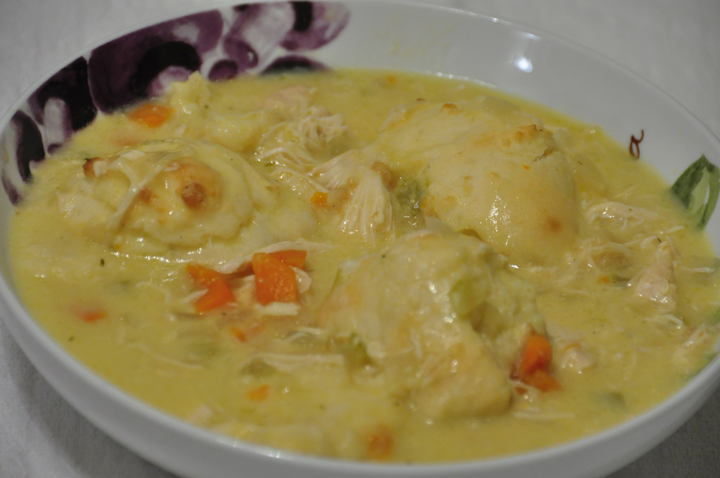 Creamy, comforting chicken and dumplings recipe made in the crock pot that couldn’t be easier to make. Just throw everything in your slow cooker and dinner is ready! 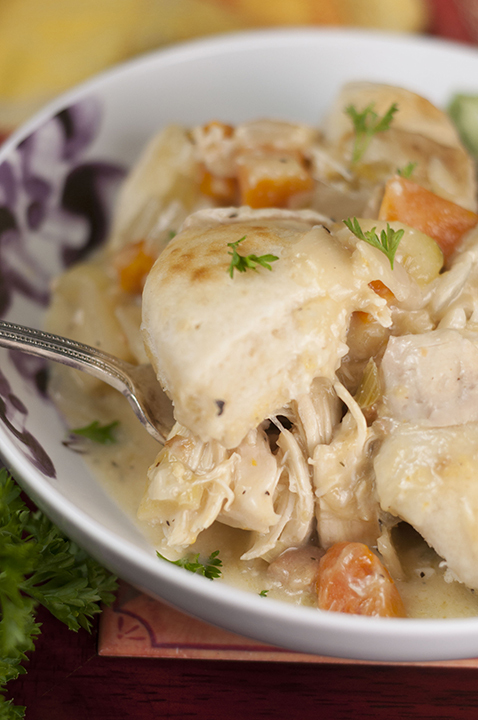 Is there any meal more comforting than Crock Pot Chicken and Dumplings? I love Chicken and Dumplings. Love it. This is a really, ridiculously easy recipe for those comfort food craving days where you can just throw everything in the crock pot and let the crock pot (or slow cooker, whatever you may call it) do all of the work for you! The hardest part is shredding the chicken with two forks once it’s cooked – not too bad! The chicken will pretty much be falling apart once it’s cooked, anyways, so it makes for an easy task. If you’re looking for more comforting fall/winter meals, you will love this Crock Pot Chicken Taco Soup. 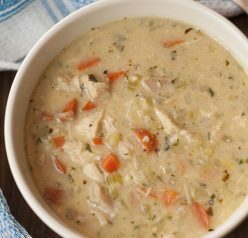 I love that soup because it’s really a “dump and go” meal that you can just keep warm throughout the day or night when your family has busy schedules. Also, one of my favorite crock pot chicken dinners is this Crock Pot Fiesta Chicken & Rice. It has been very popular on my blog for years! I also have my eye on this Slow Cooker Chicken Parmesan from my friend Sandra’s blog. Enjoy! 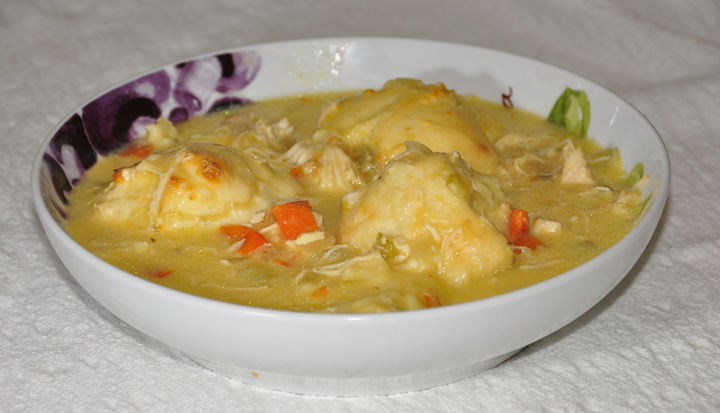 Creamy, comforting chicken and dumplings recipe made in the crock pot that couldn't be easier to make. Just throw everything in your slow cooker! This looks like a delicious bowl of warm and comforting stew! 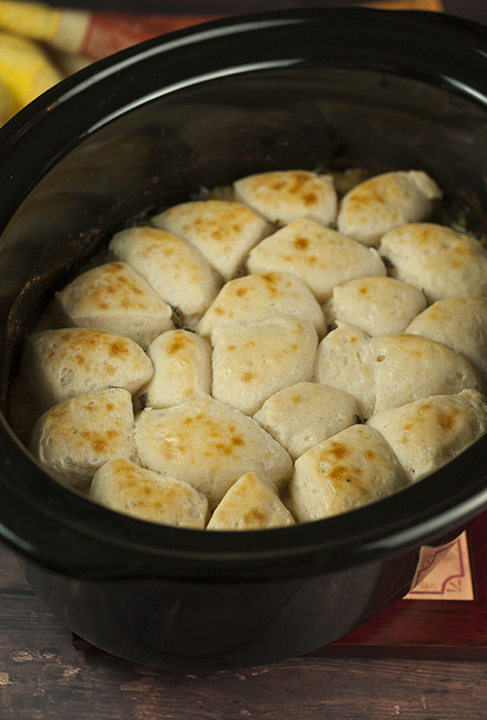 Comfort food in the crockpot… what could be better?! 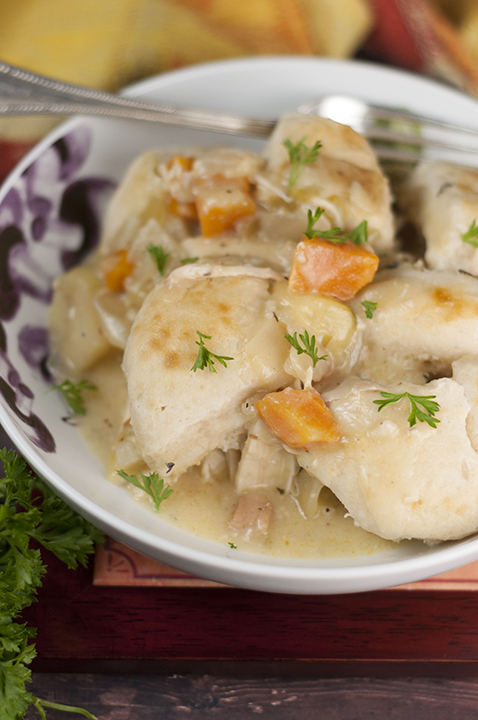 We LOVE eating chicken and dumplings in the winter! I’m loving this crockpot version – looks like it could save us some time! Mmm comfort food at its best! This sounds so perfect for the cold winter! I love chicken and dumplings too! Never made it in the crockpot, though — what a wonderful idea. Fun recipe — thanks. Great looking crock pot dish! I need to throw this in the crock pot next week! Major comfort food here! Oh my goodness, I don’t even remember the last time I had chicken and dumplings! Probably years ago! I love that this is in the crockpot! Done – must try this! I don’t think there’s anything more comforting than this. It looks glorious! ahhhhhh the best! 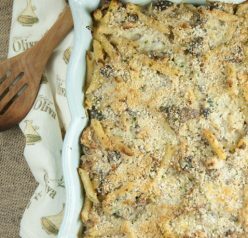 perfect, classic comfort food! just the thing I need on a FREEZING day like today! 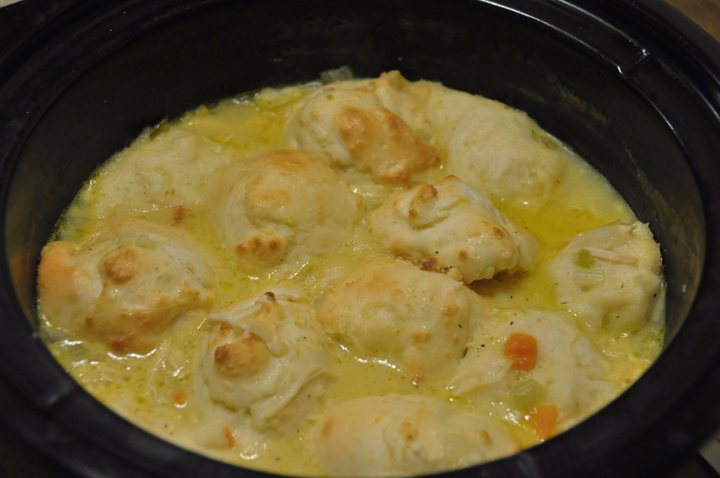 chicken and dumplings sound sooooo wonderfuly delicious on a day like today – cool and rainy! i will definitely need to try this! Thanks hope you like it!! I’ve never had chicken and dumplings, but I need this creamy comfort in my life. This winter has to end sometime, right? I have to try this recipe. It looks ridiculously delicious! Not a great fan of celery was wondering if there is another soup that could be used instead? You can use another can of cream of chicken in its place! Even cream of mushroom would work. I am trying this today.. Trying to use my crock pot more for 2014. I usually make Pioneer Woman’s chicken and dumplings but its not something I can make on a weeknight. I’ll have to give this version a try. I’ve never tried hers- maybe I should!! I’ve never made chicken and dumplings but now I really want to knowing it can be done ina slow cooker. Anything that was cooked on a Crock Pot does not look always looks goo…! It looks too soupy. I would prefer my chicken and dumpling to be cooked the old way..
Hi Ashley, made this yesterday and it was over the moon, thanks. My biscuits didn’t come out nice and browned like yours, any suggestions? Jackie, thank you so much for letting me know! So glad you liked it. Sometimes when I’m a huge hurry for the biscuits to get done, I partially bake them in the oven! Then I stick them in the crock pot to cook the rest of the way. Hence, why sometimes they get nice and browned on top. You should try that next time! Sorry if the photo was a little deceiving. Normally, I DO just cook them in the crock pot and don’t bother with the oven. Hey! It looks like you have a lot of great original content. Please join our group Cookbook – https://www.facebook.com/groups/830944193585472/ This group os brand spanking new and the hope is to get foodies together to simply post and share their recipes with no strings attached! This looks so good, but I was wondering if I could use real dumpling or something besides the biscuits. Just wondering if any liquid is added besides the cream soups, such as water? 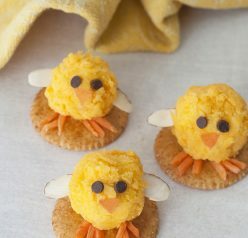 This recipe looks so yummy! Do you have the nutrition information? I’m afraid it might have too many carbs for diabetics. Thanks! Hi Bonnie! I am so sorry but I don’t have the nutritional info for this dish. I always found it so difficult to get accurate counts. I’m sure there’s ways to make it healthier – including making your own cream of soups! Sorry I couldn’t be of more help. Thanks, Ashley. I will see if I can make it more diabetic friendly and figure out the nutritional info. I read this morning to make shredding chicken easy use your mixer. I’ve done that before! Brilliant! This recipe is bananas… I did add some adobo to it myself… Only 1/2 tablespoon…so good. I love this recipe. I tried it last week and honestly was shocked (sorry) how amazing the flavor was. I used 2 cans cream of chicken though since I didn’t have anything else and I used an 8 oz biscuit can and tore it up. I’m going to just go all out and do the 14 oz can instead next time because those biscuit dumplings were amazing. For fresh flavor when serving I added some frozen peas. It cooled down the dish and had a really lovely flavor. This is definitely a favorite comfy food dish. We are in Chicago and it has been a terribly cold winter. Thank you for this recipe.